There’s no doubt that Sam Ock and John Rhee love Jesus, music, and hymns. In fact, the two musicians have bonded this year over their love for hymns, bunkering down to produce an album named Laus Deo. Their aim was to help the church all over the world have a reignited passion for hymns that may be seen as old hat. They have reworked a bunch of hymns, often adding new interludes or bridges, but basing them on a musical style that differentiates themselves from other hymn re-workers such as Page CXVI. Laus Deo is the first release from label Good Fruit Co. and it’s appropriate that these songs are indeed well-grown, ripe and ready for the picking. It may be a short album at only nine tracks, but Laus Deo is full of dynamic shifts, beautiful harmonies, and a passion that helps you uncover the Biblical truths for yourself. I must admit that the sound of the album came as a bit of a surprise to me, I was expecting a similar sound to Sam Ock’s Move EP with its hip-hop and soul stylings. Clearly, this is an album of hymns arranged for churches to use with ease in Sunday services. That doesn’t mean there’s no creativity on this album, however. It’s loaded with it. Laus Deo begins with Come Thou Fount, a hymn that has been shown great love in recent years by artists including Sufjan Stevens and Kings Kaleidoscope. It starts with just a sung melody line but is built upon with a harmony and then, acoustic guitars. It’s a stunning opener that becomes rich with a new bridge that blends into the hymn seamlessly. Nothing But the Blood keeps to the traditional arrangement and builds to a truly exciting, joyful sound. Holy, Holy, Holy is a reflective number, with a stripped back arrangement helping to keep the glorious words the focus. All Creatures introduces a much fuller sound to Laus Deo and is super pretty. There are big anthemic sounds in the interludes, and the bright execution of the song helps paint a picture of all creatures falling down to praise to our great God. There’s a big shift in sound on next track The Love of God, which is a song of praise to God’s love, care and grace. Again, the quieter arrangement helps us to focus on the words. Sam Ock and John Rhee keep the biggest song for last on Laus Deo. Classic hymn It is Well is set to repetitive drum patterns that keep suggesting that the sound is going to build. And build it does, to the level that could fill a stadium. The arrangement does a beautiful job sonically of matching the worshipful lyrics written through a hardship. The added bridge on this one doesn’t hit as hard as the original lyrics, but does remind us that God will reign forever and will outlast the things of this world. If you think hymns should be kept closed up in pew hymn books between Sundays, pick up a copy of Laus Deo. If you love new takes on well-known, scripture-based hymns, you also should get Laus Deo. Although I was expecting a different sound to what is on this album, I realised that Sam Ock and John Rhee have taken real care in arranging these songs in a way that the words and response are the focus, which I’m thankful for. I’m giving Laus Deo three-and-a-half out of five stars. 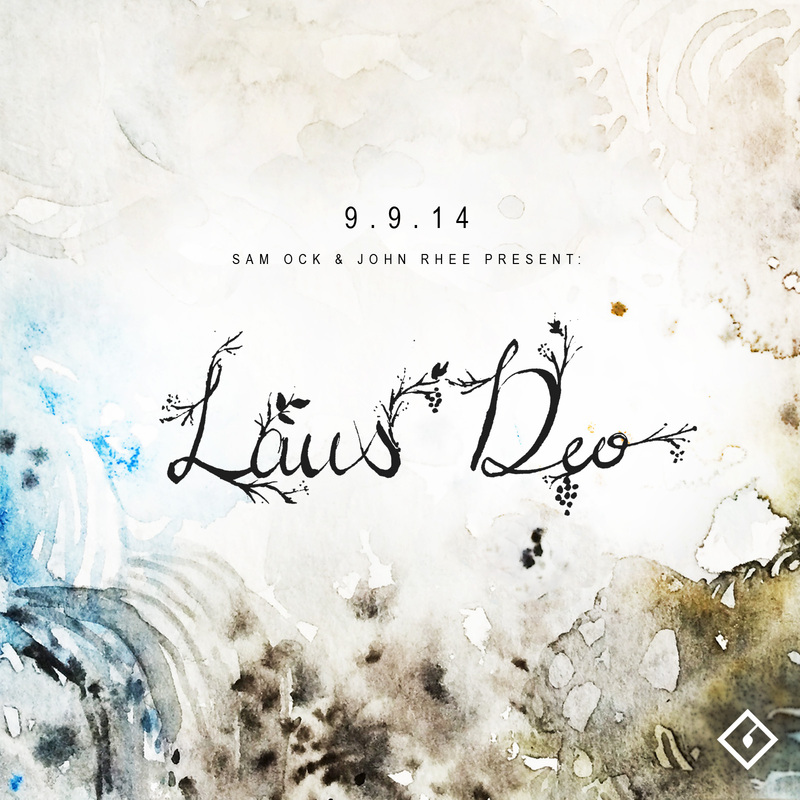 Laus Deo by Sam Ock & John Rhee will be released on September 9th, and can be pre-ordered on iTunes. Connect with Reel Gospel on Facebook and Twitter to read our interview with Sam and John about the record in the coming weeks. Posted in MusicTagged Album Review, christian, Hymn, John Rhee, Laus Deo, Sam OckBookmark the permalink.